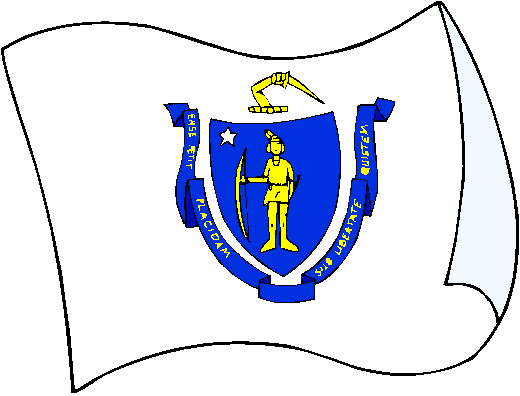 The flag of Massachusetts shows the state coat of arms on a white field. The flag dates back to the American Revolutionary period, but was only made official in 1908. 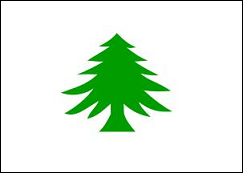 From 1908 to 1971, the reverse side of the flag showed a blue shield with a green pine tree, but the flag was changed in 1971 to be the same on both sides. The flag of the Governor of Massachusetts, uses the same design as the state flag, but with a triangular shape. The Governor is also referred to as "His Excellency", a title that dates back to colonial times. Massachusetts is also one of only two states (the other being Maine) to have its own Naval Ensign. The Massachusetts currently shows a green pine tree on a white field. Previously it also contained the words "An Appeal to Heaven", but these were removed in 1971.